There is a best selling book you may have heard of, by Mireille Guiliano called “French Women Don’t Get Fat”. This very title kept rolling in my head as I was spending my very first romantic week end in Paris with my girl friend this Easter. And as hours were passing by, I started wondering if by French… she meant Parisians? Spend sometime on any RER or TGV and you will be reassured that some French women do get fat. I have been there, all squashed against the window as they sit next / on top of you. Just like at home. 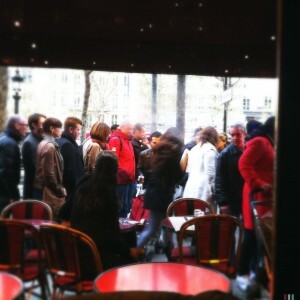 No its not French Women but Parisians that don’t get fat, men and women. You see, it is simply impossible, at least without a lot of work and dedicated gluttony, to get fat when you have to walk half a mile just to get your bread. And the French ALWAYS insist on FRESH bread. I found this out the hard way. Saturday morning and I awake next to my long distance love. “I will pop out and get une baguette and les croissants, ma chérie” says I, in the hope to impress her with my chivalry. Almost an hour later, I am back with baguette and croissants and she is happy. My feet however are not! Look how far away we are still. My poor feet!! Wind the clock forwards to later in the afternoon. 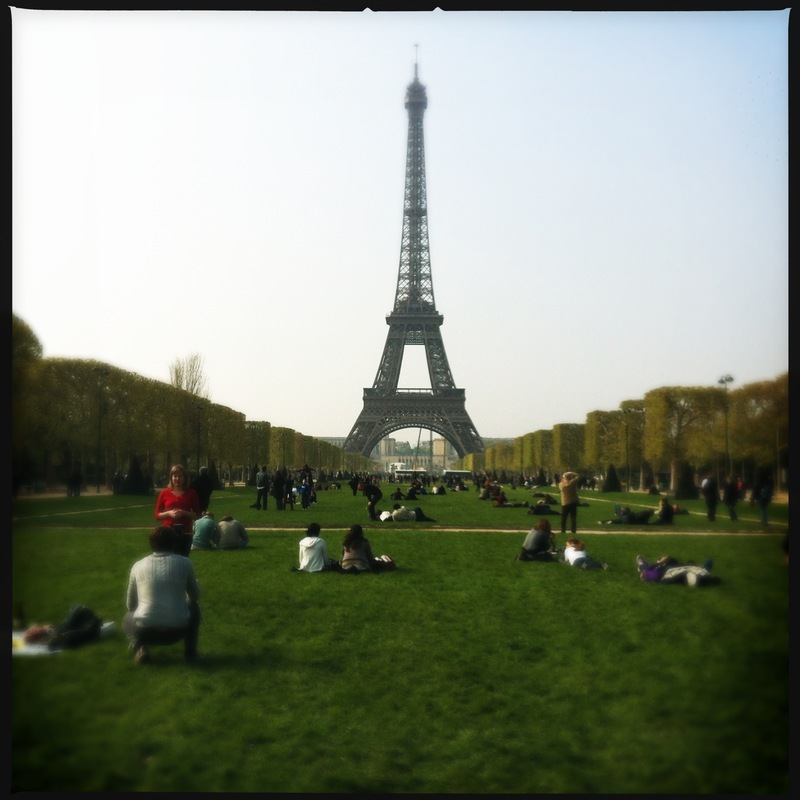 After walking the length of the Champ de Mars to the Eiffel Tower and then along the bank of the Seine, she suddenly remembers she had promised her sister to pick up some more Nespresso for the coffee machine. Well… you know, this is not a case where you jump in your car and drive to ASDA. In the French version of this, she grabs my hand, pulls 2 metro tickets out of her handbag, and drags me down the stairs of the closest station. “Where do we get the coffee ma chérie?” “Nearest shop is on the Champs” says she (NB: les Champs is local slang for Champs Elysées apparently). By the time I know it, I am changing lines at Châtelet Les Halles, the worlds BIGGEST underground station. Really this thing is massive, looking after something around 750,000 passengers a day. You can walk for half an hour just to change lines, even more if you are blonde and find yourself looking at the wrong train. By now I am thinking I must have lost a good few pounds in weight over the day. Using the mad rush as an excuse we stopped at a very nice looking Café. Relaxing and enjoying the simple pleasures in life, a cold beer, my French girl by my side and my throbbing feet were being forgotten about. But then who turned up but the pee pee fairy. Off I go in search of the local convenience only to find it wasn’t in the slightest bit convenient. Little did I realise that just to use the loo would require climbing up and down 2 flights of stairs. Shattered and exhausted it was becoming very clear that even the belly expanding pastime of beer swilling could not produce excess calories. Watching the thin and even thinner population of Paris passing by it was clear. It is not French women that don’t get fat, nor is it French men, it’s Parisians. It is almost implausible to think that a Parisian could get fat. A mile walk for bread. Several miles to get to and from the office and even a mammoth task to go for a pee.